I have a very simple go-to recipe for a Monday night meal… Sausage Italian casserole made with our Pauli’s Tomali (tomato relish) and Pauli’s Anytime Zucchini & Peppers. In a casserole dish (I love to use my Le Creuset casserole dish), pour some olive oil or butter on the base of the dish. Add the sausages and baste the Tomali and Anytime Zucchini & Peppers over the sausages. Throw over all the other vegggies and mix well together. Cover with tinfoil and cook in a pre-heated oven (180 degrees) for about 25 min. Take off the tinfoil and cook for another 5 minutes, or until the sausages are cooked to your liking. Serve on a bed of sweet potato mash. The Tomali and Zucchini & Peppers make a beautiful, robust and tasty gravy. Pour the gravy over the sausages and mash and serve with a side salad. This recipe never fails me. 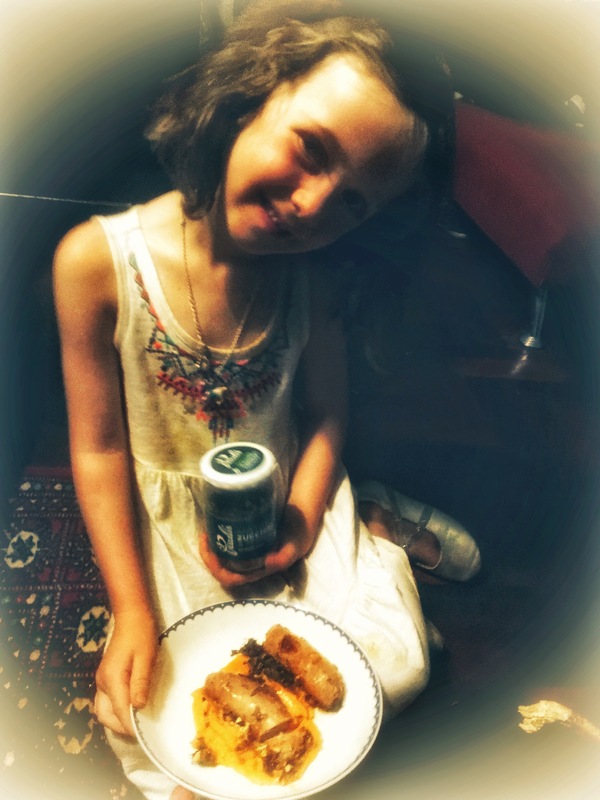 And what makes my heart so happy is that the kids clean their plate and always thank me for this yummy meal… Bon apetit! 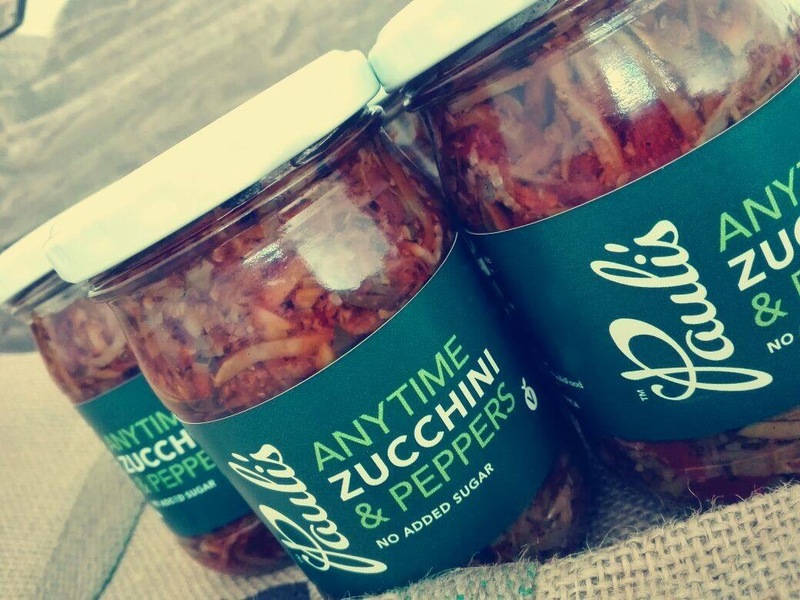 I love the story of how we named our third delicious sauce – a flavoursome combination of chilli, carrot, olive oil and ginger… When we started Pauli’s Food Co, we started selling our Brinjali and Tomali sauces at food markets. People loved the flavours bursting from our colourfully labelled jars – and they would ask us “Don’t you have something hotter?” (well, those who loved chilli would ask that). So Pauli developed our Something Hotter product – cooking together carrots, red chillies, fresh ginger and garlic, oregano and filling the bottle with cold pressed extra virgin olive oil. It was a hit! And heat seekers were happy to be able to add to their collection of Pauli’s sauces. This product is sugar and sweetener free – so it is super healthy and can be eaten with everything, with no worry of eating a chilli product with harmful preservatives, hidden sugars or colourants. Completely natural and oh so good! Heat the coconut oil, add the red onion and sauté until the onion softens. Add the Pauli’s Something Hotter and ginger, sauté for another minute. Add the beef strips and brown all the ingredients together (cooking on a medium heat for about another 2 minutes). Add the baby marrow, butternut and red pepper and cook together for another minute. Add the coconut milk and bring the heat down to low. Add the honey and soy sauce (these ingredients will ensure the right balance between sweet and savoury). Cook until the butternut is soft (about another 12-15 min on low heat). Serve with Jasmine or Cauli Rice. Garnish with the chopped basil. Yours in Good Food, Dianne. Eat. Cook. Love. Pauli’s Sauces.